By broadening his base of empowering experiences, working up a rich and diverse set of powers, Luke learned to project a broad and empowering sense of the future. He needed it the day that Darth Vader told him that he was his father. ‘Join me. It is your destiny’, Vader intoned, extending his black gloved hand. Luke, meanwhile, was clinging to a railing over a howling abyss. Death was in his eyes. But he wasn’t beaten. He knew that at least part of what Vader said was untrue. Darth Vader might be his father, but joining him was not Luke’s destiny. Luke knew his destiny better than that. He had chosen it. Siding with the Rebel Alliance, he would play his part in defeating Vader’s Empire – or die trying. 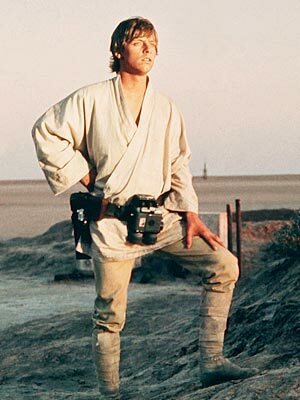 Luke Skywalker affirmed his destiny. He released the railing and fell. Luke’s character arc in the original Star Wars trilogy offers a great illustration of how working up a rich set of powers, and projecting new visions of the future on this basis, can transform our sense of destiny. All of us have a sense of destiny. It is the vision that we have of where we are most likely to end up in life, all things being equal. This vision can (and often does) change day by day. You’ll notice that it shifts in and out of focus depending on the kind of mood you are in. When you are feeling ‘up’, in an optimistic frame of mind, the future is wide open. When you are feeling ‘down’, the future is closed. People who have an elevated sense of destiny feed it by trying to stay active and future focused. Moreover, they are constantly scoping out new paths into the future by building on their inventory of powers and figuring out new ways to draw on these powers. By taking ownership of your powers and projecting them vigorously, it is possible to create empowering visions of the future. Recycling the past differently, you can transform your sense of destiny and change your life in the process. Heidegger calls the process of creating our destiny by recycling the past ‘temporalization’. I like to think of it as a matter of spinning ‘existential timelines’ into the future. Think of how the ancient Greeks might have seen it. 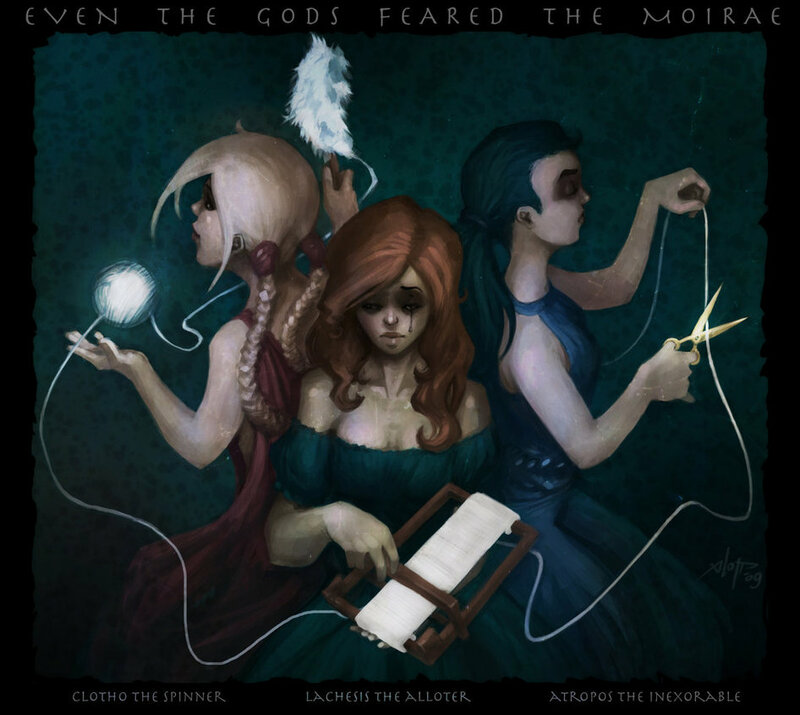 The Greeks believed that when a child was born, the Moirae, or Fates, would spin a thread that determined the course of its life. The Fates were depicted as three women. Clotho wove the thread on her spindle. Lachesis measured the thread with her ruler, determining the length of time that each individual would live. Atropos severed the thread with her shears, determining the individual’s moment of death. In ancient times, personal destiny was fixed. Everything that would transpire in life had already been spun out in advance. The best one could do was to accept one’s destiny and live it out with dignity and resilience. The Greeks were wrong. We may not see the rod of Lachesis, to know how long we will live. Nor can we get our hands on the shears of Atropos, to defer the moment that we will die. But we are spinning threads of destiny all the time. Each of us sits before Clotho’s spindle, reaching into the basket of fate and spinning existential timelines into the future. This is how you create your sense of destiny. And this is how you can change it. How much time each day do you spend spinning existential timelines into the future? Don’t think of this as daydreaming. It is future-casting, visioning. We usually associate ‘visioning’ with thought-leaders and innovators. In fact, we all develop visions of the future on a daily basis. We are visioning as we rise from bed in the morning, working on auto pilot, guided by memories. We are visioning as we fall into bed in the evening, exhausted by the day, subliminally preparing for the morning to come. Visioning is not always a conscious process. Mostly we recycle experiences without thinking about it, subconsciously anticipating the future. We are so used to visioning that we tend not to notice that we are doing it. Mostly, we focus on the goal at the end of our timelines. We live like laser guided missiles, homing in on our destination. Sometimes we can be so concerned with hitting our targets that we don’t stop to consider what happens when we reach our destination (hint: boom!). The first kiss. (Tick). The first car. (Tick). High school graduation. (Tick). Job. (Tick). Performance review after performance review after performance review (Tick, tick, sigh). We wake up in the morning and check our calendars to see how the day will proceed. When the sun sets, we review our to-do lists to confirm that all our targets are down. Do we ever ask: is this living? When we identify with our temporal goals rather than the creation of existential timelines, we forget that we are visioning and crafting our sense of destiny. In the process, we overlook our essential power to create the future. It is vital that you step back and see yourself as engaged in visioning. You are the weaver of your destiny – do not forget it. There is an art to positive visioning. To spin empowering timelines into the future, you need to anticipate the future from a position of strength. Start by getting clear on your powers. Ask yourself: ‘What are some ways that I could apply these powers right now so that they positively impact on how my life unfolds? Project an existential timeline from the standpoint of your current situation. Do this again whenever your situation changes. You are throwing open windows in time to forecast your future. Try to open as many windows as you can – it lets the light in. Perhaps the most valuable thing you can do in life is learn to apply this technique in contexts of change. Next time life takes you by surprise, take the opportunity to apply a new set of powers, or an old power differently, and see what comes out of the mix. By applying your powers in creative ways, you can transfigure the experience of change. Plant your feet and send existential timelines shooting to the horizon. Reach for the stars. You may grab the moons of Tatooine in the process. This is excerpted from Chapter Five of Life Changing: A Philosophical Guide. Existentialism is a difficult concept. You, Tim, have added another wrinkle to it that I hadn’t thought of, the carving out of destiny. There is sort of an obliviousness to existentialism, like one is living in a bubble and not taking ‘no’ for an answer from the rest of the world. That sounds like Luke Skywalker. I am thinking of Victor Frankl and his survival of the Holocaust. The way he tells it nobody was going to tell him when he as going to die; it was up to him and only him, a true mark of an existentialism, I would say. Thanks David. I am trying to put a simple spin on Heidegger’s concept of ‘existential temporalization’ from Being and Time. I must confess, I am not being faithful to Heidegger’s terminology: Heidegger associates ‘destiny’ with a community’s shared vision of the future, using ‘fate’ to refer to the individual’s concept of the future. But ‘fate’ is often perceived in a negative light, whereas ‘destiny’ has positive connotations, suggesting a desirable potential outcome. For this reason I have decided to use ‘destiny’ instead of ‘fate’ to describe how individuals carve out their sense of the future. Frankl’s work is fantastic and very inspiring. It was a cruel fate that history forced upon him, but – you are right! – he refused to believe that his destiny was to die in the camps. I think we all can benefit from cultivating a sense of destiny. We can’t predict or control the future, but we can cultivate a passion for life by envisioning our ultimate possibilities. Tim, I consider this a thinking blog. There aren’t many like it, that I know. There are two words that make it attractive for me, ‘philosophy’ and ‘change’. Perhaps my number one philosopher is Hegel because he developed his world system theory on change. For him the world wasn’t based on anything fixed, but on change. Kierkegaard was an existentialist. In his biography Frankl mentioned something Kierkegaard said, that anyone who offered a corrective had to be biased, thoroughly biased. Frankl was thinking of his own bias, of the correctives in psychotherapy he offered his patients. Perhaps existentialist are thoroughly biased. One thing existentialists are not are victims. One thing I learnt recently is the ‘complementarity principle’. Niels Bohr introduced it as an explanation for what occurs in quantum physics. I understand he got the idea via Kierkegaard. I am thinking, there must be a connection between the complementarity, existentialism and bias. The connection you have made is inspiring. I never thought of existentialism that way. This is one of the best posts I have read. Thanks very much. It was fun to write. I was a big Star Wars fan as a kid – it’s always rewarding to draw on childhood sources of inspiration and use them to reflect on serious adult stuff.